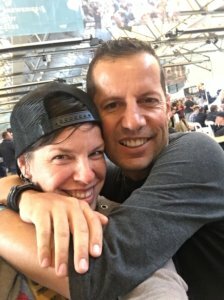 Time for our annual, 2018 pilgrimage to Tasmania for the BeerFest, and updated research on the Tasmanian Craft Beer scene! As mentioned in our last post, we normally fly into Hobart, spend a few days there, then cruise up north for the festival, but this year we reversed our itinerary. This year we were able to take a few extra days and tour around to a few of the Tasmanian breweries we didn’t get to in 2017. 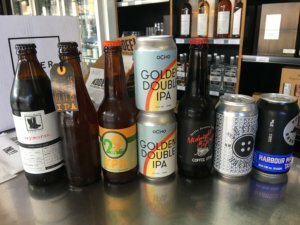 Arriving in Launceston, our very first stop was Crown Cellars where we picked up an awesome selection of local Tassie beers (pictured), building the excitement around finally meeting some of the new brewers on the scene. Heading home for the night (Matt’s family home in NW Tassie), we got stuck into a few of our purchases and were off to a flying start. “A very small brewing setup in Ulverstone which we produce our prototype batches with, and then any larger batches we want produced we contract brew through Morrison’s Brewery at Invermay. 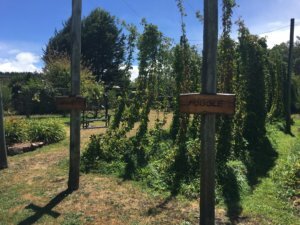 From Buttons we went to visit Seven Sheds Brewery – a true Tasmanian icon – where we marvelled at their hop garden (the only place where Leggett hops are grown in Australia), and sampled the range, wandering away with way too many (but all worthwhile) purchases! 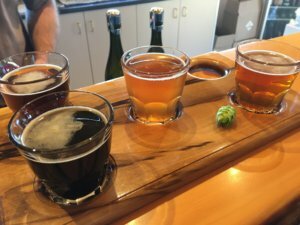 Next stop, while in the area, was Empress Craft Beer Bar for a well-deserved beer, plus more takeaways by Ocho and Last Rites. The following day was the highlight of our trip: visiting the Van Dieman farm! 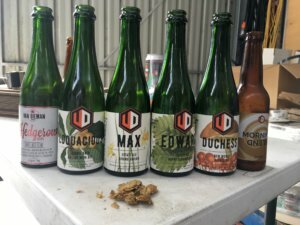 For those who aren’t aware, Van Dieman Brewing, owned/operated by Will Tatchell (who is a genius, by the way), produces a fantastic core range of bottled beer and a limited range of Estate Ales. The ingredients in the Estate Ales are all grow on the farm, including the barley, hops, wild fruits and spices, and range in style. Will is someone we met years ago and have always looked up to, but every time we see him we’re all at a festival (or he’s gearing up for one) which doesn’t leave us too much quality time to chat, so to have the opportunity to sit down with him for a couple hours and check out where the magic happens was something extremely special to us. Note: if you are EVER attending a beer festival that includes Tasmanian craft beer, seek out the VD stand and say hey to Will. After tearing ourselves away from the relaxing day at the farm (one of us did have to drive, after all), we stopped for lunch (and local brew!) in the quaint town of Evandale. Time to get motoring from here, as we began our road trip to the picturesque Iron House Brewing at White Sands Estate. We stayed here a couple years ago on our 12-day road trip around the Apple Isle, so we knew this would be sensational. Watching the sunset while sipping on beers made on-site was an unforgettable end to an ideal day out. The next day our journey took us through Richmond to visit Tasmanian Craft Cellars, a bottle-o that had gained the reputation of having the best selection in Tassie, but they were closed. We waited around for a while and even tried to contact them via social media, but to no avail. Perhaps next visit. Anyway, that just got us into Hobart a bit sooner than anticipated – which was great for us! As you may remember from the previous post, we made a good effort of visiting all the Hobart breweries during our last visit, so this time we went straight for the good stuff. 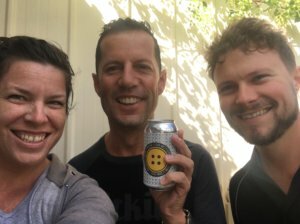 A few beers to get the party going at the New Sydney Hotel, where, as we were leaving, we ran into Andrew from Kick/Snare (who make one of our all-time favourite IPAs) and had a good talk to him about how the Tassie beer scene is evolving. As if proving our point, that night there was a Tasmanian tap takeover at Jack Greene bar in Salamanca, so we met our friend Klimt (from Spotty Dog brewing) and finally got to taste his award-winning Portland Pale Ale. 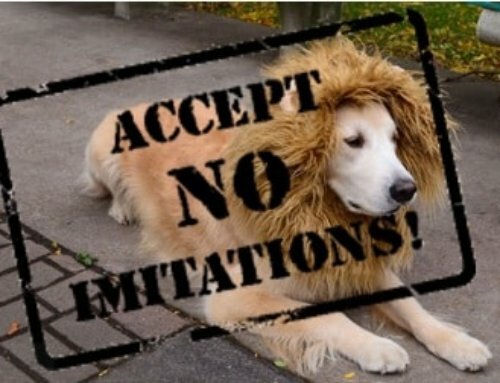 It was worth the wait! 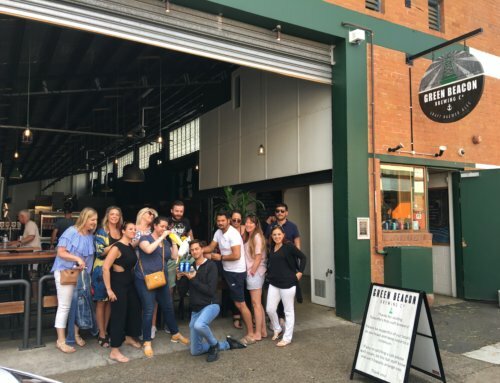 We also met Sam from Philter and Stu from Ocho – which was awesome, since we’d been drinking his beer for the past couple days – and after more than a handful of beers, we wandered down to Hobart Brewing Co for a nightcap. 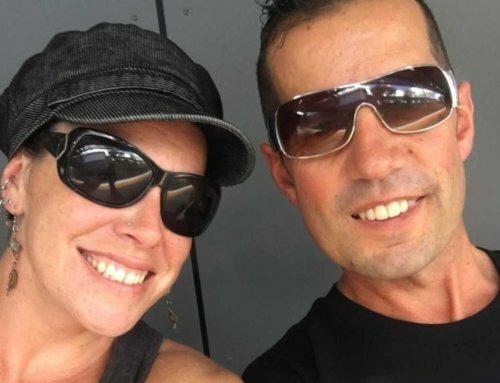 The next day (even though were feeling a bit worse for wear) we headed to the BeerFest. 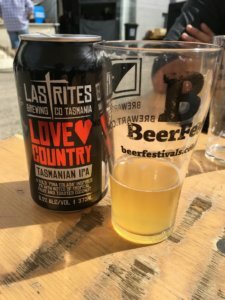 It was the first time we’d attended the festival in Hobart, and – while the vibe was different to that in Launceston – we still had the chance to try new beers from Church Hill, Captain Bligh’s and the Eleventh Order, as well as some Tasmanian favourites from T-Bone, Last Rites and Fox Friday. In trying to be sensible, we called it an early night. Unfortunately, we had to fly out the next day. Our biggest challenge was trying to fit all the beer we’d bought or otherwise acquired in our luggage! Now that we’re home, every week is measured in how-long-it’s-been-since-we-arrived-in-Tassie or, alternatively, how-long-it’s-been-since-we-left-Tassie. 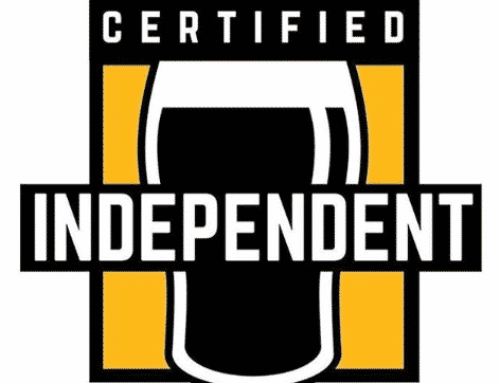 Keep doing what you’re doing, Tasmania, and we’ll keep raving about Tasmanian craft beer.